Donald Gramm Intereview with Bruce Duffie . 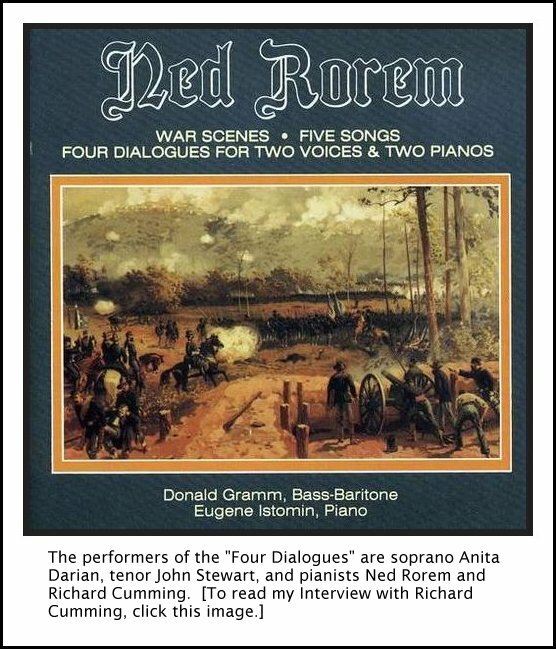 . . . . . .
Donald Gramm, a distinguished, aristocratic American bass-baritone, died of a heart attack in his dermatologist's office yesterday morning in Manhattan. He was 56 years old. 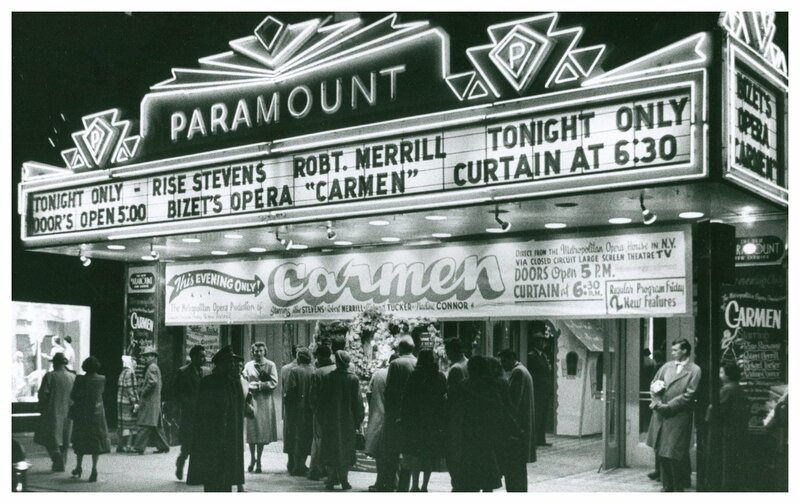 Mr. Gramm had completed a series of performances of Bellini's ''Norma'' with the Opera Company of Boston on Sunday, and was due to leave for California to begin rehearsals for Mozart's ''Cosi Fan Tutte'' with the San Francisco Opera. He had complained of chest pains last week, but had otherwise seemed in good health, his publicist said. His visit to the doctor yesterday was for a routine procedure, the publicist said. 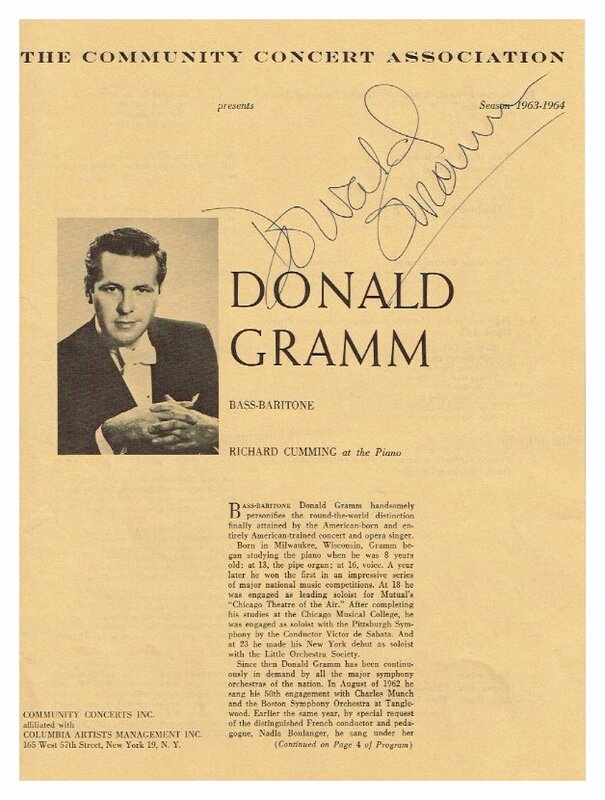 Mr. Gramm's career was unusual for an American singer because it was concentrated almost entirely in this country. His work was divided between opera and concert appearances. 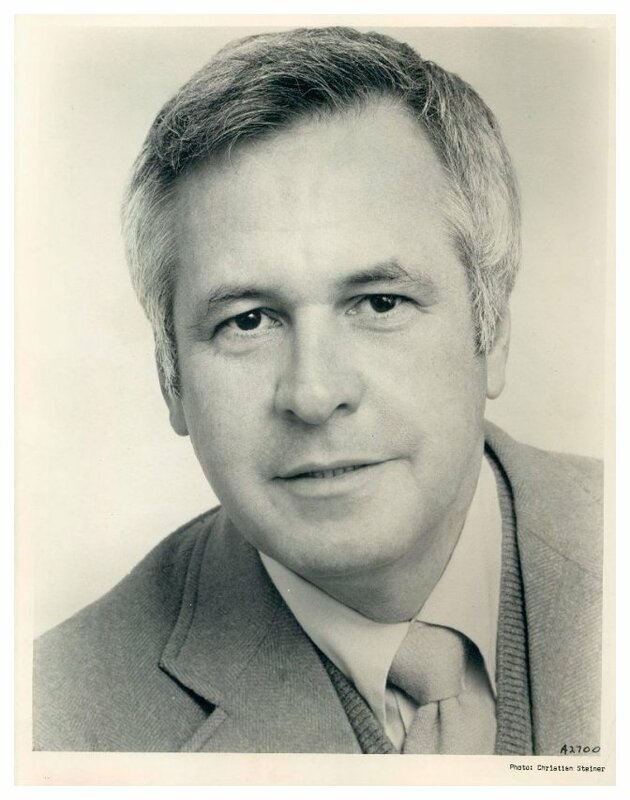 He sang regularly over the last three decades with the Metropolitan and New York City Operas, as well with opera companies, symphony orchestras and chamber series all over the country. 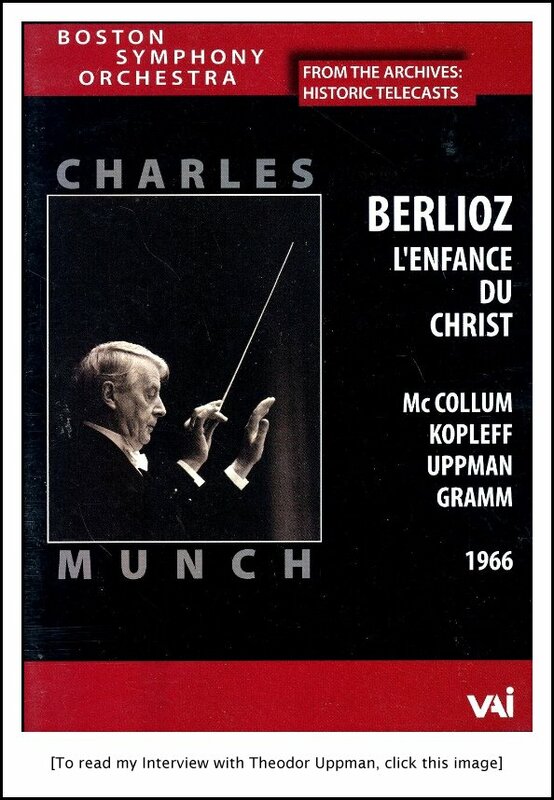 His New York debut came in 1951 in Berlioz's ''Enfance du Christ,'' with the Little Orchestra Society. [Note: The recording which was made later is shown below.] Following his City Opera debut as Colline in Puccini's ''Boheme'' in 1952, Mr. Gramm sang with the City Opera nearly every season for more than 30 years, and was scheduled to perform both the title role in Gilbert and Sullivan's ''Mikado'' and Papageno in Mozart's ''Magic Flute'' in August at the New York State Theater. 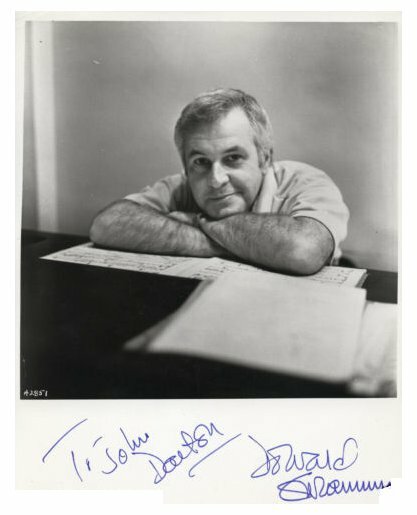 He made his debut at the Met on Jan. 10, 1964, as Truffaldino in Richard Strauss's ''Ariadne auf Naxos,'' and was for a while confined to similarly small parts there. His principal bases for major roles became Sarah Caldwell's Opera Company of Boston and John Crosby's Santa Fe Opera, where he often sang unusual or contemporary repertory. Eventually, he assumed major parts at the Met, as well, including the Doctor in Berg's ''Wozzeck,'' Papageno and Leporello in Mozart's "Magic Flute" and ''Don Giovanni'' and important roles in two recent new productions: Alfonso in ''Cosi'' and Waldner in Richard Strauss's ''Arabella'' last season. In Europe, he sang at festivals in Spoleto, Aix-en-Provence and Glyndebourne. His discography, which concentrated on the art song, was small for so critically acclaimed a singer, reflecting his limited European career. In 1981, he ventured into the realm of stage direction with ''The Marriage of Figaro'' at the Wolf Trap Farm Park in Virginia. Mr. Gramm is survived by his father, Rinold Grambsch of Waupaca, Wis., and a brother, Paul Grambsch of Minneapolis. Like so many of my interviews, this one was destined for use in a couple of places. 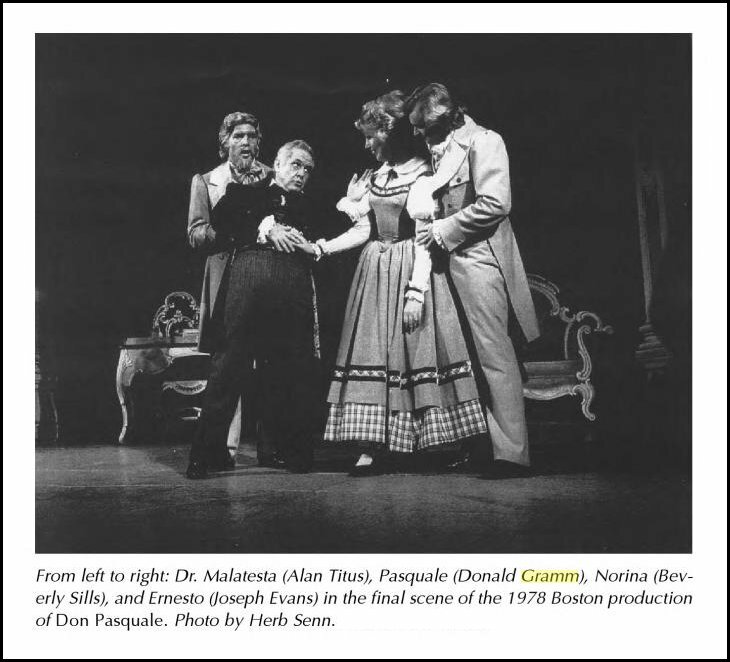 Besides the appearances on WNIB along with his recordings, since he was in Chicago to sing the role of Sancho in Don Quichotte of Massenet, portions appeared in the semi-annual newsletter of the Massenet Society. So that is where we began our conversation . . . . . . . . .
Bruce Duffie: Let me ask you about the role of Sancho Panza. Is there any relationship between Sancho and Leporello? Donald Gramm: Oh yes! It seems to me that they’re probably cousins. I suppose any kind of servant-master relationship is going to approach that, except Mephistopheles and Faust where the relationship is slightly different. But Leporello is usually a little fat. He doesn’t have to be but he should be a little fat. He’s meant to be funny and I don’t think funny people are thin. DG: He’s jolly, and for some reason or other — it’s probably psychological, and I don’t know what this means — the public doesn’t think that he’s going to get her, but they don’t mind the pursuit. BD: Does the whole business of costuming and make-up affect how the role comes across, even though you would sing the same notes, the same words, the same tempo? DG: I think it must. I’ve sung and recorded Don Pasquale, and there’s not a thing in the world that says that Pasquale has to be fat. But I gave him a little stomach because, as I say, I’ve discovered that the older man chasing after a young girl is not thought to be very amusing by the public. He’s not sympathetic. I did an extraordinary production of Rosenkavalier in Glyndebourne last year, which was designed by Erté, who has been all over Chicago right now, recently. It’s his 89th birthday and I spoke to him on the phone. He’s in every gallery on Michigan Avenue, and wherever you look there’s an Erté. So he decided that the Baron Ochs should have a full head of black hair and a great beard — not unlike the one you’re wearing, except absolutely coal black — and a mustache. Of course it is necessary to wear a bald pate underneath so I can whip it off in the third act. But he wanted him to be a younger man, and if you look at his costume, you’ll see that he’s quite barrel-chested but quite thin in the waist. So when we had our first fitting, I said, “There’s a line where the Police Commissioner comes to quiet disturbance, and somebody says that the Baron is the big, fat one over there.” Erté said, “Yes, but not too much!” So we put in a little pot belly, and it did help. Eventually we all agreed it was a good touch. BD: So you think buffo characters should be a little paunchy? DG: I think so, and I think they have to act that way. BD: It’s a sort of reversal as we’re trying to get the singers to be thin! DG: I know. [Laughs] As a matter of fact, many of my friends are very resentful that the true natural beauty of Donald Gramm never shines through! [Both laugh] Falstaff is another role where I’m ‘grotesqued up’, and Sancho got bigger in this production as the producer saw the paunches. Each time I tried one he’d want more and more, so we were getting bigger and bigger. I suggested what he really wanted was just a beer belly. I sort of think that’s Sancho! But if you put it all in front, everything else looks disproportionately small, you know the rear, and so we put a little on the hips and on the rear. BD: Sir Geraint Evans was saying he had to give up the role of Falstaff, mostly because of all the extra weight. He was carrying around 50 pounds of stomach and legs and arms and neck. DG: It is a great trial, and doing it a Glyndebourne, where he also has done it in the past, they talked about the fact that Geraint was so exhausted that he couldn’t take the curtain call. I was never that exhausted! I was completely exhausted, but not that exhausted! BD: Let’s go back to Sancho and Leporello. Leporello should be a little fat, and Sancho is a lot fatter? DG: Sancho has to be fat because we talk about him as being so. The fact remains that the two are akin mainly because they aren’t indentured servants. They’re paid and yet, like Pistola and Bardolfo, they’re paid when Falstaff has some money — which, I suppose, he gets from a pension of some kind. Probably Falstaff was very significant, but where Don Quichotte gets any money, I don’t know. Maybe if I’d read Cervantes I would know. Don Giovanni has enough money from his estates. There you have the usually poorly clad, underpaid Leporello who complains about it in the epilogue. Sancho complains that he’s already taken three notches on his belt during this present trip. BD: So he’s losing weight! DG: He’s losing weight, yes. They give away the money at the very first to those beggars. BD: Have you thought about changing the paunch a little bit? DG: No, they didn’t make it smaller. That wouldn’t be bad to make him weaker and paler. It seems to me those two characters are marvelously allayed in that operatic tradition of a buffo story which always has the fat fool. If you made Basilio a fat man, it would affect his oiliness. He wouldn’t be the slimy character that he is with his innuendo. He’d probably be a jolly prankster. BD: Does this also make a contrast in Bartolo being fat and jolly, and Basilio being thin with his umbrella and long nose? DG: Yes, that’s one Bartolo. You’re thinking of the Barber Bartolo, but the Marriage of Figaro Bartolo is quite often a thin man. There is a story of Toscanini saying to someone who wanted to sing the role of the Sacristan in Tosca, and he said, “No, you’re too thin! You must be fat!” The singer said, “But you know that the man Puccini wrote it for was very tall and very thin!” and Toscanini said, “Yes, too bad he wasn’t fat!” [Both laugh] It just means that a type emerges and you feel it should be done. BD: Because so many of these characters you play are SO type-cast, does it jar the audience too much when it is changed at all? DG: I’m afraid it gives the audience a little bit of a shock. But I don’t think that ‘type-casting’ is the proper word for what we’re talking about because there is a kind of appearance that people get accustomed to very quickly. BD: Did the audience mistake you for Leopold when you came on as Baron Ochs? DG: No, because my Leopold was a very good looking boy. They were a little run down at the heels, but they weren’t the bumpkins that they usually are.... though we have done that more recently. The thing I like to do is surprise people with the character being so different from the stereo-type in the attitude or the posture, even though the physical appearance may be in the stereo-type. In other words, if he’s been bald, he probably should be bald. If he’s lame, you have to make pretty clear why he’s lame. I did Philip II years ago with Nat Merrill who said the King has gout. I asked if that was historically true, and he said, “It is now!” [Both laugh] So I used a stick. I know people who have suffered from gout and know how they would behave. They use their stick quite often to prop the leg up. Apparently it feels better when the leg’s up. I try to do little things like that to make the public know what it is you’re doing. BD: So after doing Don Carlos, if someone comes backstage and says, “You really must have gout,” then you’ve succeeded! DG: That’s right. And if they come back and offer you a certain drug, believe me, then you know you’ve succeeded! [Both laugh] But I get a lot of fun out of doing ordinary roles. BD: Have you ever portrayed your character differently than usual but the rest of the cast did the same old usual ideas? DG: Yes! The contrast isn’t so great. I just did a Barber of Seville in Santiago, Chile in a mixture cast. Pablo Elvira, who is American/Puerto Rican, was the Figaro, and Zehava Gal who is an Israeli girl but educated at the Julliard was the Rosina. Jerry Hines was the Basilio, and the conductor was Carlo Felice Cillario, an Italian who lives in Argentina. I can’t remember the name of the director, but we got along well. When we were going to stage the aria, he said, “Do your thing; just do what you do!” I said, “But I don’t do anything.” He said, “You sing the role, so I am waiting to see what you do.” I said, “But I don’t do anything,” and he said, “All right, just sing!” So I just started the aria and I did not do what I usually do, but what occurred to me at the moment. BD: You didn’t do simply what had been directed the last time? DG: No I couldn’t do that. The last production I’d done was with Sarah Caldwell in an arrangement which was so far out that you couldn’t believe it. We did it on television with Beverly Sills, and if you remember I had a turban and a hoop. I didn’t have a paunch, but I had a hooped skirt and keys hanging all over. I had a key for a cane. I didn’t have any of that stuff there, so I couldn’t do it that way. Eventually during that rehearsal he said, “I see now, Mr. Gramm, you don’t do the Corena things. It’s very honest and I like it. It’s very amusing, very droll. I like that.” So we got along fine because I believe that throwing up your arms in great surprise and falling down on your rear end and lifting up your wig when you can’t believe what you hear, all of that stuff is for the birds! BD: They are good bits for him but not you? DG: They’re good, but I don’t think it’s necessary. I think a great deal of the over-acting as far as comedy is concerned, is that most of the people who were performing were Italians performing opera in their own language. They realized that what should be funny wasn’t making anybody laugh because nobody understood what they were saying. So they did something, and I can sympathize with that. BD: I asked Paolo Montarsolo how he kept his comic characters from becoming slapstick, and he said it was very difficult, but very important. DG: Very!!! [Much laughter] It’s very important, yes. I remember I did Bartolo with him. He was the Basilio in Houston, and I swear I didn’t know until the opening night that he was going to come on wearing a scarf that must have been twenty-four feet long. It was all around his neck, and I swear they didn’t have it at the dress rehearsal. I greet him and have to wait for him to enter. He always does something, and he started to unwinding this scarf, and there was no reason to continue because I didn’t know how long it was going to last. It was going around and around, and finally I got in the swing of it. Then I’d been round and I lost him for a moment. He didn’t know I was going to do that, I didn’t know I was going to do that. When we tried it the second night, it wasn’t nearly as funny, and I didn’t do it the third time because it seemed a bit worn off. But initially it seemed like fun. So how you keep it from being slapstick is that you don’t. It depends upon what you mean by slapstick. When Norina hits dear old Don Pasquale, at the Met they were determined that it wasn’t to be sad. It wasn’t to be serious when Don Pasquale says he is finished. I was very polite in doing it in the past, making quiet, hurt, wounded sounds. I think you have to that, but I tried it that new way and eventually the production changes as you get farther from the source. BD: With the same cast or as the cast changes? DG: No, even with the same cast. This was with the Met tour, and as we went from city to city, it changed until Beverly I were pretty much back to what we did in Boston. I think that’s because we thought it was so good! BD: Have you ever been put in a position where the director will say to do something and you will say no, it can’t be that way? DG: I don’t think I’ve ever done that. There are mistakes, always. In our production right now, in the death scene in the last act, Don Quichotte says to Sancho, “I’m not well, I’m very sick. Put your arm under my head.” Well, I’m not anywhere near him. I can’t begin to do it and the director didn’t want me to. So now I try to do a little in the general direction, but I don’t do it. And when I unlace his armor, it’s pretty hokey the way we do it. I just reach out and lift it off. That’s alright if I use the word ‘lift’, but the word I’m saying is ‘unlock’ or ‘undo’ the laces. But once again, those are things the public doesn’t really understand. It may be because we don’t sing it that clearly, and they may not understand it even if they heard it. DG: Yes. That’s why I go in the direction of him. I’m a little confused when he hears Dulcinée’s voice. I know he’s dying at least partly of old age. BD: Is he dying of a broken heart? BD: You also did the production in Boston with Noel Tyl. How is Ghiaurov different from Tyl? DG: First of all, Tyl is about a foot taller! He’s 7feet 4 inches or something... It was lovely; it was wonderful, though I must say it’s been so long that I don’t really remember. What I like about Ghiaurov is there is great sympathy and warmth. He doesn’t go charging on the stage. Maybe Don Quichotte could run around more, but he is an old man, and a minimum of movement seems to me a good idea. BD: Would you ever entertain the idea of singing the title role instead of Sancho? DG: Oh, yes. I’d love to but I don’t believe I can do it on stage, just the fact of the necessary gauntness and the height. It probably could be done... I don’t know if you notice it, but when I’m right next to Ghiaurov I try hunch down a little bit so that he’ll look a little taller. I did Falstaff two years ago in Wolftrap in some of the highest shoes I ever wore in my life. With the heels and soles I must have been seven inches off the ground. It was sensational. DG: Yes, it was a little dangerous the way it was staged. I’ve done this role twice in different productions that I’m pulled out of the River Thames at the beginning of the third act — literally physically pulled. We had a ladder, but I had a rope around me and my page comes to help me out. In the Boston production I had seaweed and fish and all kinds of things! I have on my boots and Sarah wanted the page to pull off the boots, dry my feet with the towel and wrap me in this blanket. It was impossible to put the boot back on, so there I am, barefoot — which is all right as long as I’m sitting. But suddenly Mistress Quickly comes in, and there I am barefoot. I’d been a tall man, and then suddenly I’m that much shorter! So there was a platform that ran across outside of the Inn. [Indicates a distance of about 8 inches] It was just about that much higher than the stage, so I just got up on it when she came to talk to me. I said, “Let’s go!” and off we went. She was down there and I walked up here. So you see, it did work! So maybe you could do Don Quichotte like that! I think I’d rather record it. I would like to do that! I would love to sing the music for that. BD: Since you bring it up, tell me about recordings. Do you enjoy making records? DG: I’m sorry to say I haven’t made as many as I would like to. I don’t really think that my voice records terribly well; at least I’m never quite satisfied by it. I always sort of hope that what I hear is slightly wrong! BD: Let me assure you that your voice sounds marvelous in the theatre and on recordings. BD: Do you enjoy hearing it while you’re singing? BD: We won’t mention any names, but why do some singers make it who really shouldn’t? DG: Well I can’t think there are any singers that make it without talent to start with. What I’m speaking of mainly is people who have gone beyond, or through bad use of the voice or just the failure of the instrument in itself should not continue. It’s interesting... we were talking the other night about a number of people that I know — singers of my age that I began with who don’t sing anymore. But they’re around. They’re teaching voice like mad but they’re not singing. BD: The other side of the coin, then, becomes are there some voices that should make it that don’t? BD: Does that help to keep your sanity in this crazy business? BD: Did the performance come off? It sounds as if it could have been a horrendous catastrophe. DG: Well, it came off. As a matter of fact, most of the critics said that she had some difficulty. An announcement was made for her. We were sitting and waiting for the second act curtain up, and she said, “I can’t go on; I can’t sing.” I said. “Honey, it’s all right. You’ll be able to do something.” I was selfishly thinking that my big business was coming up. My character, John, the Valet, has all of that stuff at the end, his aria with the wonderful scene. It’s my opera from then on! There was no understudy, so I said, “I’ll help you.” It’s true, she’d sing a little and then her voice would go. But I never let go of her. I helped her around and got her through the opera. BD: You’ve done quite a bit of contemporary music. What makes some of it accessible and some not? DG: As far as access is concerned, I can’t really tell you. 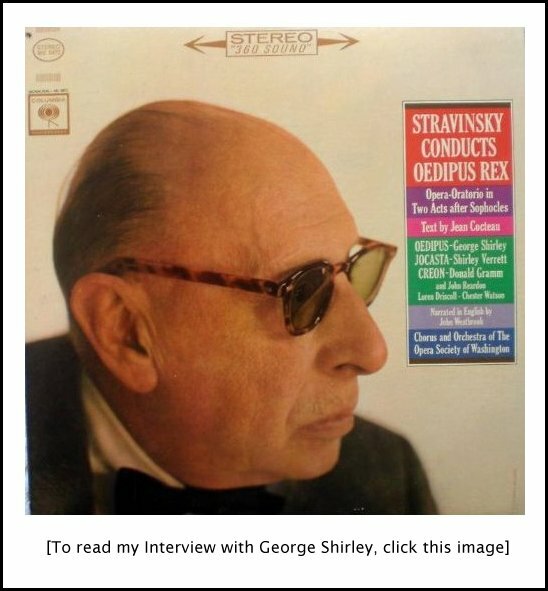 I read a review the other day in a New York paper about a Stravinsky evening, and it said that one of the singer’s diction was so good and so clear that you listened to the words to the expense of listening to the music. Interesting, but I know I’m addressing the same argument people have about opera in English or in English translation — that they try to listen to the words, and they hear some of them but they don’t hear all of them. It’s more frustrating not to hear them, so they are really listening for the words and they don’t listen to the music and the singing. A great mistake is made in believing that just because the composer can compose that he can necessarily write an opera. BD: Do composers not understand the voice? DG: It’s partly the voice and partly some composers haven’t any real sense of the theater. They haven’t grown up writing for the theater the way that someone like Menotti or Pasatieri who’ve written several operas. Look at Sam Barber, who certainly could do no wrong as far as songs were concerned, it seemed to me. He certainly knew about the problems of singers, and yet Antony and Cleopatra was a big flop... although Vanessa, I think, is a pretty good opera. So I don’t know. I’ve sung some very peculiar things, mainly Lulu, and Wozzeck. BD: But those are established masterworks. DG: Yes, well, I don’t really sing any contemporary opera anymore. I haven’t done anything like that in awhile. I’m going to do the Corigliano opera which is commissioned by the Met for the centennial, but it’s not going to be finished [sarcastically coughs] when it was supposed to be for the Fall of 1983. So it won’t be performed that year. But I’m looking forward to it because John seems to understand. He’s written some impressive songs. We’re all lucky because most composers that I know are perfectly willing to write ‘for you’. They will write the way you like it, or certainly within your range. I did have one composer once told me he was writing role with me in mind when he started out, but he said, “I can’t help it. It’s just gotten higher and higher; it keeps going higher and higher. It’s going to have to be a tenor role!” But he was very sad about. “I can’t control it, and now I have to find a tenor like you!” I don’t know if he ever did. I don’t think he ever did. He needs a tenor that would remind him of me personally! It was my personality he wanted to capture in an operatic role, but the character kept getting higher and higher. It’s interesting, isn’t it? 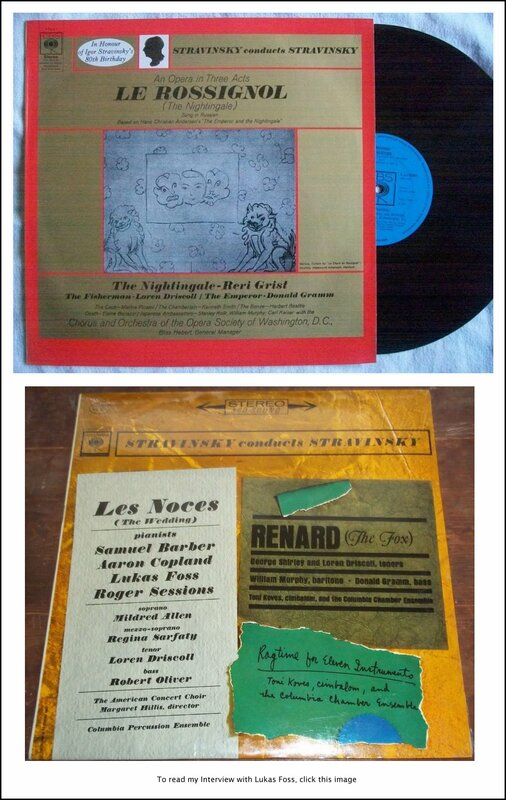 Of course I have sung all of Stravinsky and recorded so much of it. BD: Is Stravinsky grateful for the voice? DG: Some of it is and some of it isn’t. The Rake’s Progress is probably the hardest thing in the world to sing, to try to make the words AND the music understood. BD: You were the Devil in that? DG: Yes, Nick Shadow. I think that’s terribly hard to do. I did it at Covent Garden recently, and I’m going to do it in San Francisco this summer. It’s not really an audience piece; it’s not an audience pleaser but they admire it. It’s been most successful when I’ve done it at Glyndebourne because of the smallness of the house. BD: Because of the intimacy? DG: Maybe, but on the other hand it had a big success at Covent Garden. 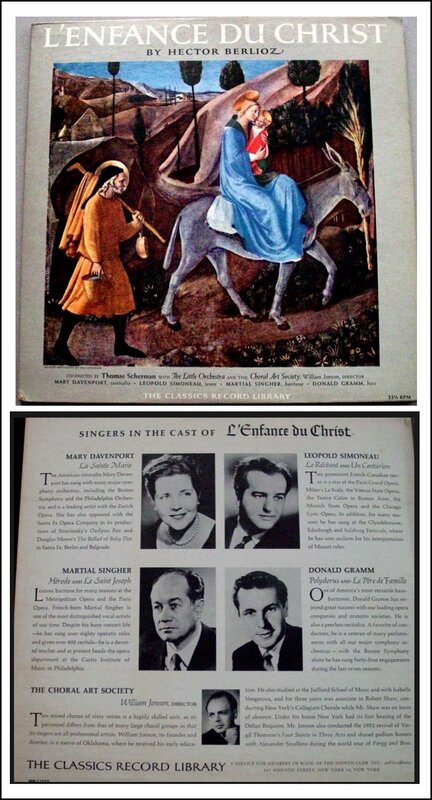 You set me thinking about contemporary opera, but I haven’t sung any Ward such as The Crucible or any Pasatieri. I haven’t sung any of Carlisle Floyd’s things, and yet they’re performed all the time. I was in Washington when they were doing The Seagull on a two-week run in the Kennedy Center. It was appalling! There were about twenty-five people in the audience. There were more people on stage than out in the house! It was terrible. BD: Does The Seagull work as an opera? DG: I didn’t see it all. I wasn’t even that interested. He originally claimed he had a role in it for me, and if I would do it in Seattle at the première, he would enlarge the role. I didn’t do it! I know it sounds selfish, but I think there are a lot of other people who can do that stuff. I did a lot of that when I was a kid, and there’s not much point in my learning an opera for just three performances. It takes a hell of a long time to learn an opera. For me, it always did but that seems it does even longer now. BD: How do you convince a young singer who wants to do the Bohèmes and the Toscas and the Butterflys that they should learn an opera that they’ll probably do three times in their life? DG: Tell ‘em that’s what we’re doing. If you’re a young singer, there are 800 out there that’ll audition for you tomorrow for any opera that is going to be performed anywhere. BD: What do you do with the other 799? DG: The other 799 go to the next set of auditions! BD: Is it more difficult being young singer today than it was years ago? DG: Oh no, it’s much easier. It’s much easier to get a little recognition, and it’s much easier to get money. The grants are dying to be scooped up. No, it’s much easier but it’s more difficult to have a really gratifying career. 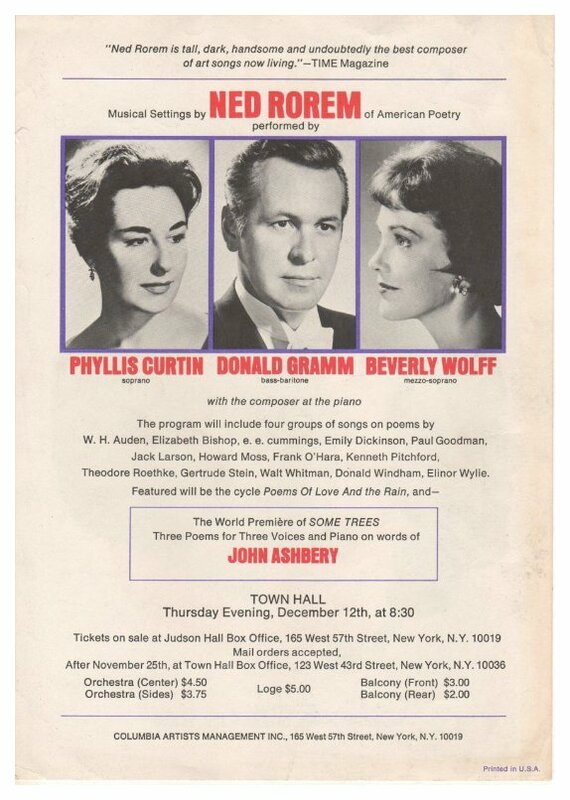 I still think of young singers as being Frederica von Stade and Richard Stilwell. They’re not the young singers anymore; they’re established. I was always a little older then they. I never felt it, but when they were all youngsters in Santa Fe, I was already a sort of established-type. I don’t think you would have a serious career before you’re 32, 33, somewhere around 35, but somewhere along the line by the time you’re 28, or even 26 maybe, it should be going in the right direction. BD: Now the Met has a school and Chicago has the Opera Center and La Scala has I Cadetti della Scala. Are these the right places for young singers to forge a career? DG: They’re the right places if they really do something and let the people emerge. The chances are the very biggest talents are not interested in more than a year. Or they go into it and decide they don’t like it. If you could be sure that you were going to go into a project like that and have two or three years of an apprenticeship and then sing Violetta, fine. But if you’re going to have three years of apprenticeship and then sing Annina, there’s no point. And if you’re just trying to get Anninas for less money, I don’t think that is right. I don’t think that’s the way it’s meant to work, and I hope it doesn’t. But it seems to me there should be a real agreement about the kind of thing that would encourage you to stay. Years ago the Metropolitan had auditions on the radio and always usually awarded a contract. Some of the people who won at the Met auditions are people that we all know about. I was the Met judge this year in Chicago for the finals of the Central division, and there two people who sang really quite nicely, but one of them hadn’t any roles. He had some arias but he didn’t have any roles that’s he’d sung or knew. Now I don’t know if that’s essential but if it seems to me that if you’re 30 or 32 years old and are in the Met auditions, you should want to be an opera singer a little more than that. BD: So if you’re 22 an aria’s okay but at 32 you’ve got know a few roles? DG: Yes, I think you should know a role. Then I look back at my own experience, and I realize I didn’t know a role. When I went to the New York City Opera at 25 or 26, and I didn’t know any roles. But then I didn’t audition for it. They came to me and asked if I would sing in their opera company! I had to borrow scores of Bohème and The Marriage of Figaro and Wozzeck to look at the roles of Colline and the Count and Wozzeck. I covered Wozzeck but I couldn’t have sung it then. I’d barely be able to sing it now. I’m not sure that I would even want to, but in any event that was a different time when there weren’t so many young singers. Now everybody is trained. All of the young singers today are trained. Most of them have degrees, and in all of those workshops at universities they learn everything in the world. BD: So they’re all good musically? DG: Well, that isn’t true. A number of them still can’t read music whatsoever, which surprises me. BD: When I was in music school, I had the most fun in my sight-singing exam because I sat there with the professor and we just sight-read all kinds of duets — melodic duets, whole tone duets, twentieth-century duets and all kinds of things. I was a bassoon player, and the voice students were sitting there and couldn’t sight-read anything! DG: Do you still play the bassoon all the time? BD: Not much anymore. I played it in high school and college and in grad school, and then I moved into music history. I taught music in the public schools for two years before going to the radio station. BD: So there’s your next career — you can go and open a piano bar! BD: I don’t think there’s much danger of you losing that. DG: No, I don’t think so either. I can’t imagine doing anything else. I can’t really play the piano in a bar. I could be a church organist in a small non-important church where they didn’t know! BD: [With a gentle nudge] Not at Riverside! DG: No, not Riverside! [Both continue to laugh] I suppose I can teach, although I have no desire to, and I have made little effort. BD: Is there any security in singing? DG: Not really. People talk about retiring. I don’t talk about retiring, but I have some colleagues who talk about “when I retire,” or ask, “Won’t you be glad when you retire?” I can’t imagine that. I can’t imagine not singing. I keep saying I’m not going to learn any more roles, but next year at the Met in the fall I’m doing Pimen and also Varlaam. I’ve done Varlaam before but Plishka and I are alternating. When he sings Varlaam, I sing Pimen. So I’ve learned that in Russian, and then I go to San Francisco and do Cendrillon of Massenet. It is a nice opera, probably a little boring, but we’ll see. I have to learn that. BD: Who is singing Cendrillon? DG: I don’t know. I would like to know because I have to hold her on my lap. I’m her father, and I’d like not to have someone too terribly large. I did Louise once, years ago in Boston with Carol Neblett as my little Louise! BD: She’s a big girl! DG: That she is. She’s supposed to sit on my lap and we rock. Well she got her head in my lap but the rest of her was on the floor! [Coming back to his upcoming schedule] Then we’re going to do a new production of Arabella at the Met. I’m Count Waldner. BD: He’s the father. Do you like playing fathers and kings? DG: No not much, but at least I’m getting old enough that I feel more fatherly. BD: What was it like to be 25 and play father to a 40 year old? DG: Well, exactly. Let me tell you even worse than that! I first came to the Met in 1964, and it was in 1965 when I did Count Waldner. We did it in English in those days with a mostly European cast. Lisa Della Casa was Arabella, and my wife, Adelaide, was Blanche Thebom. So we’d sit there on the sofa talking about it. [Laughs] Of course I had my moustache and my grey hair. I guess I looked old but I didn’t feel like it. This year Mignon Dunn will be my wife and Kiri te Kanawa is Arabella, and I’ve got to learn that in German. BD: You’ve sung a lot of operas in English that are supposed to be in English. What about singing operas in English translation? DG: I wish I were convinced. I was when I was younger but I’m not anymore. I would like some comedies to be in English. There is a way of singing English that makes it sound so common. It makes us all sound like Europeans think Americans talk. BD: So then do you over-compensate and make it overly British? DG: I don’t. Somebody like me should grab a hold of them and say, “Don’t talk that way!” I staged The Marriage of Figaro at Wolftrap last summer, and one of my big things was getting people to say, “I’ll do this.” Everybody said, “Uhl do this!” I said, “You don’t have to say ‘Eye-il’, just don’t sing ‘Uhl’.” Well, I got somewhere! They won’t anyone of them ever sing ‘Uhl’ again, or at least they won’t without thinking of me! But I don’t know what the answer is. I haven’t seen The Ring, for example. BD: I saw it in English in Seattle, and I purposely went to the English cycle. DG: Did you like it? DG: Could you understand it? BD: Yes, but then I’m intimately familiar with the whole thing. But it worked for me and I was glad it did. Andrew Porter spent so long listening to the German over and over, and the English would just sort of form in his mind. Then he could form it in the same rhythm patterns and stress patterns. Is this the problem of so many translations that they are not as careful? DG: I think that’s it. As a matter of fact, most translations are really transliterations. They’re meant to be in the vernacular so that the audience can understand. BD: Does a city like New York really need two theaters — like London, where one does everything in the original and one doing everything in English? DG: It wouldn’t be a bad idea. That’s what New York City Opera was at one time. The reason for the original language in the big house has always been given that the international stars only know things in the original language. Would you like to hear Don Quichotte in English? I don’t know. BD: There are some works that seem to lend themselves to being translated. DG: I read Pelléas in translation, but I think that’s a good translation. BD: [Genuinely surprised] Usually everybody says Pelléas is the one opera you could never attempt in a translation. DG: No, no, because there are not so many multi-syllable words. It seems to me that any opera that’s ‘talky’ is good in English. BD: This is the second time in just a few days that someone has talked about that. I had an interview with your conductor, Jean Fournet, and he said he had just done Pelléas in Swedish in Sweden with Gedda. He said that the Swedish, from what he could tell, was excellent, and it worked very well. BD: Have you done Golaud? DG: Yes, I did it in Santa Fé with Stilwell and von Stade. BD: This was in English? DG: No, in French. It is when Santa Fé began shifting away. It did the same thing as the New York City Opera, and I can’t tell you why. BD: It’s not just a ‘quasi-sophistication’, is it? DG: Yes, it’s kind of that. One year we were doing Don Giovanni and the conductor, Edo de Waart, wouldn’t conduct it in English. BD: [With a gentle nudge] His baton doesn’t translate??? DG: It turned out he was going to go to Amsterdam and conduct a new production and record it, so he was getting his experience. It was a hideous production and it was burned immediately at the end of the season. But they were switching to using the original languages, and I think it’s a kind of sophistication. BD: Is it a good compromise on the television with the running translation on the bottom? DG: I don’t know. Do you like it? BD: It’s not bad, and I find it helpful for details sometimes. DG: [Thinks a moment] I don’t think it’s a bad idea. I think it’s rather good, probably. Why not? BD: Is televising opera a good thing? DG: I don’t think they’ve been spectacular so far. I think there is something missing. I don’t think the opera has been written for television. That will be fifteen years from now, and we’ll look back and think how old-fashioned it was to televise live from the Met. It will be something else. Something is bound to happen. It is a dangerous, dangerous thing that I understand is happening more and more, although I’m not particularly aware of it, and that is that amplification is sneaking in the back door. BD: You mean, in the live theater? DG: In the live theater, yes. It’s always a moot point whether it was being used at New York City Opera or not. People insisted it wasn’t, and people insisted it was. Sarah Caldwell unashamedly ‘enhances’ the sound, she calls it. BD: Is that because of the theater she is using? DG: Yes, partly that, but not any more because she has a perfectly good theater now. She has a good orchestra pit, but I always feel — in fact I’ve told her — that I think she doesn’t know how to get the orchestra to play softly. So she decided to hell with it. She’ll up the storm and boost you, and you sing your little heart out. BD: Is she a better conductor or a better producer? DG: No, no, she’s a producer. She’s not a good conductor. I don’t think she thinks she is a good conductor. BD: But she always conducts her own performances. DG: Mostly she does. Last year Fred Scott did quite a bit. He did the Rosenkavalier and War and Peace, but that was only because if you’ve ever worked with her or seen her work, you know that she’s quite unpredictable. I don’t think she would have a conductor that would stand for the way that she works, so it’s better if she does everything! Then she doesn’t have to worry about whether the conductor likes it or not! BD: I just wondered if there was any parallel between her and Karajan, because Karajan is also doing both staging and conducting. DG: Well Karajan started as a conductor. I don’t rate Sarah really that keen as a conductor. BD: Did she start out as a producer? DG: She did, yes. She was a gofer for Boris Goldovsky, and all she was ever interested in was producing opera. She played the violin, but I can’t tell you where the conducting came from. I sang her first productions in Chicago. In the park we did the Orpheus and Voyage to the Moon of Offenbach, and then fifteen Bohèmes in a little theater. I’m sure she conducted those. I suspect when someone how much it cost us for a conductor, she said she could do it herself. I bet that’s what happened. BD: Tell me about War and Peace. Is that a good opera? DG: It’s quite exciting, it really is. BD: It’s really Peace and War! DG: It is Peace and War, yes. It’s a little hokey. The music is very, very old-fashioned and sentimental. DG: Well, yes it is, but War and Peace seems to be even hokier. There’s nothing wrong with Puccini. What I’m getting at is it’s a good piece that I’m surprised they don’t do more. I suppose if the Met ever does it, they would do it in Russian. BD: You did it in English? DG: Yes. It has so many wonderful roles. BD: You were General Kutuzov? BD: Do you keep that gesture in during later performances? DG: I haven’t, no. I did then, but now I don’t wear that kind of hat anymore! BD: If the critics pick up on something that works well for another reason, would you keep that in? DG: I might, but then it would be mannered after a while. One of the things I enjoyed most in a number of operas working with Beverly was because she’s so inventive. BD: Are you excited about her running the City Opera now? DG: I guess so. I wish her luck, I really do. I think she needs it. BD: What the role of the critic? DG: It really makes less and less difference every year, it seems to me. We have three newspapers, and you don’t go home from a performance and worry the next morning about what the critics said. It doesn’t make any difference. I’m surprised there are that many, and I’m surprised that they’re entertained the way they are. DG: His is undoubtedly the most erudite of the writing, and certainly the longest. DG: He has the most space, and he certainly writes on and on forever. BD: But he seems to edify the public, especially about a work that they don’t know. DG: Why not? No, I understand that, but it’s because he only writes once a week. The Times has half a dozen people, and I could never quite figure out quite why certain people do things. BD: Are you optimistic about the future of opera today? DG: Oh, I think so. It seems to be doing better than it has before. The Met has raised half of its $100 million fund for its bicentennial in 1983. I think that television, somehow or other, is going to make a difference. BD: A good difference or bad difference? DG: It depends on if it really is done for the sake of opera, or if it’s done just for the aggrandizement of certain people. I suppose there were always certain opera stars, but it’s too bad that the American public really is so focused on Luciano Pavarotti. The big screen, for example, like the prize fighters on closed-circuit, might not be a bad idea. It might actually be a better idea than that little-bitty screen for opera. I don’t think you get much of an idea of the staging on the small TV. DG: It will be interesting to see what happens. BD: Thank you for being a singer! You have brought a great deal to so many performances. BD: And thank you for allowing me to chat with you. 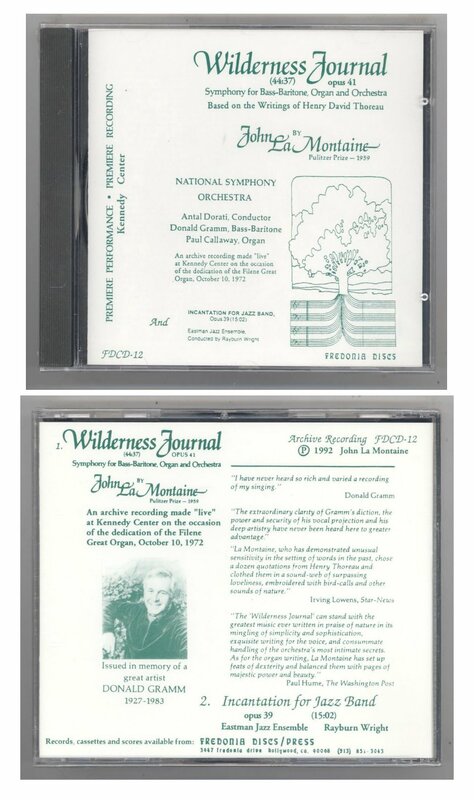 To read my Interview with composer John La Montaine, click HERE. To read my Interview with conductor Antal Dorati, click HERE. This conversation was recorded in Chicago on December 17,1981. Appropriate portions were published in The Massenet Newsletter in July of 1985. Portions were broadcast on WNIB 1989, 1992 and 1997. An unedited copy of the audio was placed in the Archive of Contemporary Music at Northwestern University. This transcription was made in 2014, and posted on this website at that time. My thanks to British soprano Una Barry for her help in preparing this website presentation.